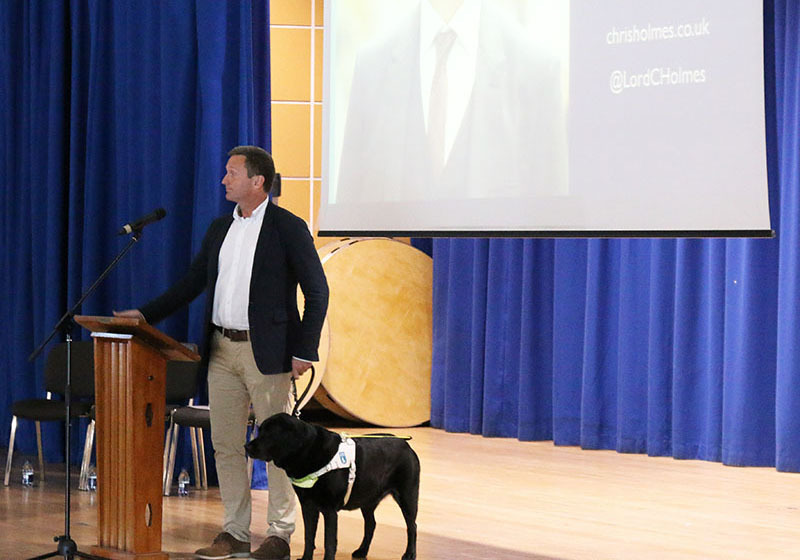 Lord Chris Holmes of Richmond MBE, started the morning, speaking about how he became Britain’s most successful Paralympic swimmer, despite losing his sight at the age of 14, and his work with the team that successfully brought the Olympics to London in 2012. He talked to us about the importance of creating the right environment, collaboration, determination and trust. We then heard from Simon Tobin, an autism awareness speaker, who shared his personal challenges with autism and how he has learnt to successfully manage them. Simon helped us to consider the challenges that our children might be facing and how we can help to empower them. Dr Robert Loe, Director of the Relational Schools Foundation, was our final speaker. Robert delivered a passionate speech about the importance of building supportive relationships so that children feel connected to their schools and are able to be happy, healthy and achieve. The morning served as a powerful reminder of why we have come together to form a multi-academy trust. It enabled us to reflect on our aims for the year ahead; to continue to provide supportive, engaging and aspirational learning environments that will help our children to be resilient and happy in their journeys into secondary school and the wider world, and how this can be better achieved through collaboration.